NOTE: Okay folks, if you haven't been around long enough here to know what a "Randomonium" post is, then here is the deal. I ramble, rant, and randomly moan about all things cycling in one, incohesive, bizarre post. "Randomonium", okay? So, a big day yesterday for me as Mike and I got the printed cues, sorted them, bagged them, and boxed them up for Trans Iowa coming up the 28th of this month. This is super important to the event and these cues represent a ton of work, thought, and time invested. Not just by myself, but by volunteers like Tony and Mike who helped out immensely with this monumental task. It isn't easy to come up with a new route every year, much less one that is interesting and challenging. Add in that the route must work logistically for riders to resupply and for us to have proper checkpoints, and it gets real hairy to figure out, real fast! I wouldn't have it any other way though. The integrity and spirit of Trans Iowa depends upon me doing it this way. Using the same route every year would gut the event and make it something completely.......well, un-Trans Iowa. The courses give each rider a new, unknown challenge and each version of Trans Iowa a unique flavor. Fortunately, Iowa has a LOT of gravel roads to choose from. That's also maybe unique and it does help a lot when you make a new route 14 years in a row. I often cringe when folks try to compare years to each other when it comes to TI. Each year is so different, it is like comparing apples to oranges, but even I get sucked into that line of thinking sometimes. Oh well! Most of the time I treat each version very differently in my mind and each one is very special in its own way to me. These cues in the boxes pictured today are going to help define another unique, special Trans Iowa. I cannot wait to see how it all unfolds for everyone this year. Too bad it doesn't look like the weather is going to cooperate for this weekend. Sometimes you have to wonder- maybe this wasn't meant to be. I planned the Geezer Ride for March and the weekend we were supposed to ride we got 11 inches of snow. Now this weekend is the make-up date and it is supposed to be cold, really windy, and raining. So I am going to be making a final call on whether or not to postpone this event later today. If I had to bet, I would say that it won't be happening, but we'll see. Maybe a window of halfway decent weather will open up. The thing is that this is supposed to be geared to the beginner gravel cyclist, not the folks who subscibe to the "HTFU School of Cycling". 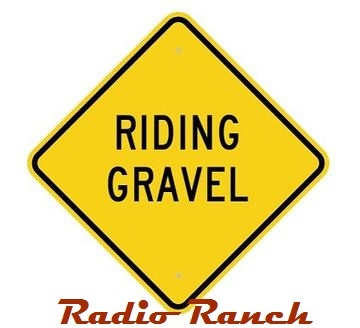 I want people to have a good experience and, ya know.......want to come back and ride gravel because it is fun. Not get soaked, blown off the road by wind, or have to deal with sub-par roads. And, if like I think, the event gets cancelled, I won't reschedule it, because as I stated earlier this week, I have way too much going on the rest of this Spring to try to fit this in again and lead it/promote it. I'll probably back off and look at doing something this Fall, possibly. Fortunately, a weekely Monday evening gravel ride has sprung up independantly of me and it seems to be taking root. That's great to see. Hopefully it can flourish without anyone laying claim to it or trying to turn it into a hammer-fest on gravel. But that's not something I'm going to engage in because weekday evenings are off the table for me to ride anyway. 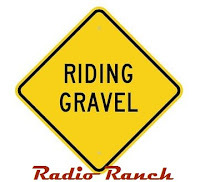 Anyway, I am looking at expanding the scope a little bit with this facet of RidingGravel.com. I think a remote microphone/recording device is going to be purchased here soon, maybe something phone related or a separate device, that will allow recording of audio for uploading to the podcast. The first obvious place I would be going with that is to the Dirty Kanza 200, where I am just going to........ya know, I'm not even sure what's happening yet, or why it is I am going. I do know that a lot is happening and where it all ends up, I don't know just yet, but I digress...... I will be hanging out with MG and riding bikes, that much is all I know for sure. But, yeah..... Podcast recording, interviewing remotely, and maybe going on to some even more creative audio/visual stuff could be in the offing. And to think that it all happened because I got on as a guest on Ben's podcast long ago. Weird....... Stay tuned for more weirdness!